I've recently became aqquainted with the work of Jessica Eaton. As you may know I have a thing for light and colors and prisms, Her work is in experimentation of technical and conceptual beauty. 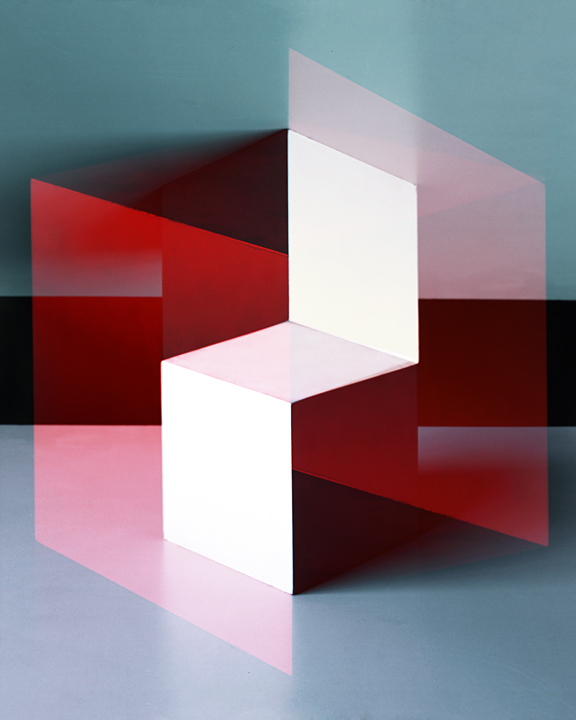 In her latest Cubes "For Albers and Lewitt" she focuses on the "discrepancy between physical fact and psychic effect," Eaton's images add "multiple exposures and colored lights" to plain, monochromatic cubes to create enchanting graphics. With a 4x5 camera, she starts with white, black and gray cubes, then shoots them under red, green and blue gels to capture the amazing colors we see here. Her only inspires me more to dewll in this field of experimental photography. You can check her tumblr and stuff she likes.